As someone who writes about music to a point where I receive press releases about it, I must admit that I am not one to want to listen to music based on a press release. Ever. Here is some free advice for everyone who has ever sent a press release to a writer. Ready? As writers, we are naturally curious. At least I know that I am. So if something hits us the right way, we're going to press play on it. If it doesn't make us want to press play, no amount of words can help that. Also, the idea of "This band sounds like this other band you love" is played out. Stop trying to sell me music that sounds like Nirvana. If I want to listen to Nirvana, I'll throw on "In Utero". Tell me why your artist is unique and special. "Country music is a wide genre, and that's OK. I don't even know what genre this record is, but I know it's me." This struck a chord with me for two reasons. First off, I'm not a fan of country (as I keep saying) so I never really thought of it as a "wide genre" before. I always just thought of it as being all mostly terrible. But this is a good point. Just like any genre, there are little subgenres of country- the more radio friendly stuff, the drunker stuff I suppose... I don't know what else. Groups and solo artists. Anyway, the second reason it really hit me is because she says she doesn't know what genre this record is but she knows it's her. Something about not wanting to define your music by genre is respectable, especially when you're trying to be defined in your genre by those around you (see: the CMAs). This statement alone made me interested enough to wonder what exactly this album sounds like, which is odd because, again, I rarely listen to music based on what the press releases say. I will admit I somewhat expected to press play and hear this typical country album, the type which annoys me, and just laugh off the statement like, "Yeah, you're country. Stop trying to pass it off as something else" but of course if that was the case I wouldn't be typing all of this now would I. Right away there is a certain calm to this music but I don't know if I'd say it's country. The first song is called "Orphan" and it pulls me in as it has that gypsy feeling of nowhere seeming like home. The second song has underlying hints of "Barricuda" and lines like "I wish I was still half drunk" do make me think it's a little bit country. Then "Hands On You" comes in with this soulful vibe and all of those ideas get thrown out the window. 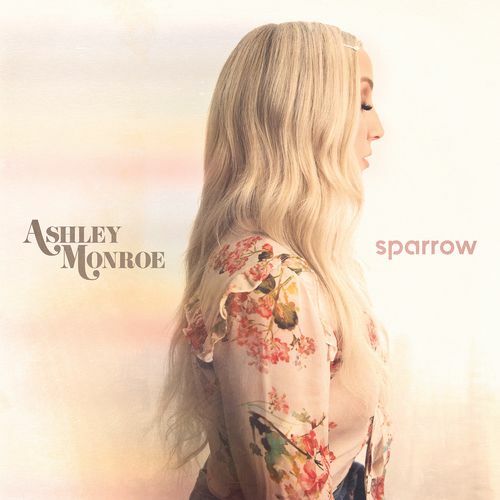 While there are some songs on here like "Mother's Daughter" which could pull this album closer to the country side, overall it is just about the melodies and songwriting and as Ashley Monroe herself implied, not about genres. The song structure is interesting because they remind me of these old time crooners. For the most part, the titles are sung as the first line of the song or at least come up in the chorus enough that there isn't ever really any doubt as to what a song is called. In that way, it has this pop feel to it. I want to say it is a certain level of simplicity but that makes it feel like less than it actually is. If anything, the way the songs are structured just make them more easy to relate to as they are blunt in their delivery- to the point and not trying to sugar-coat or hide anything. With strings on a lot of the songs, "This Heaven" is a nice ballad and by the last track- "Keys To The Kingdom"- there is also this definitive gospel vibe. Which also might be because the last song mentions both Elvis and Jesus. But that is another thing about this album which stands out to me: the lyrics as a whole. A song like "Paying Attention" has the lines: "It's snowing in April / The winters are long / I remembered your birthday / Now that you're gone". The strangest part of that is I listened to this song for the first time on April 6, 2018 and it was the first time it has snowed this month (and hopefully it won't snow again in April) but how magical is that? It's not that it's April and it was snowing the other day. It was literally snowing for the first time in April '18 on the day I first heard this song. From the start I said one of the only reasons why I listen to country music is to perhaps find that next Johnny Cash and I don't mean someone who sounds like Johnny Cash because as I also said if I want to hear Johnny Cash I'll listen to Johnny Cash. But the more I think about it, the more Ashley Monroe reminds me of Johnny Cash. Denouncing her genre in a sense and living up to be something more than just words (herself). You know, Johnny Cash defied genres and even though so many people credit Elvis Presley with rock n roll he defied genre as well. And most importantly these are songs that could appeal to anyone, to everyone. The modern day Johnny Cash indeed.